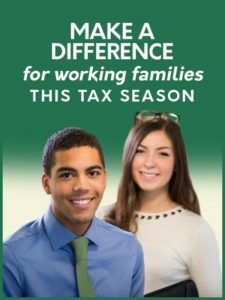 Roles | Campaign for Working Families Inc. Skills Needed Computer experience, strong attention to detail, and customer service skills. No tax law experience necessary. Skills Needed Computer literacy, strong attention to detail, and customer service skills. Training Requires 8 hours of training. Skills Needed Customer service skills and a high level of organization. Training Requires 4 hours of training. Similar to our volunteer Tax Preparer role, Tax Associate interns are certified at the Advanced tax preparation level and assist in the general management of a tax site, including taking on such vital roles as Quality Reviewer. Click here to read more about this role and our internship program. Minimum Requirements: Certification at the Advanced tax preparation level and commitment of 10-15 hours per week from Jan – Apr.